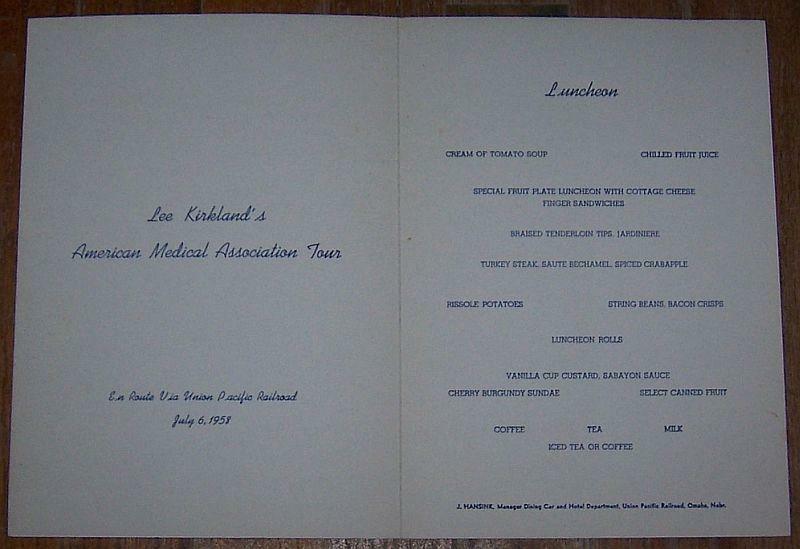 Union Pacific Luncheon Menu For Lee Kirkland's American Medical Association Tour, July 6, 1958. 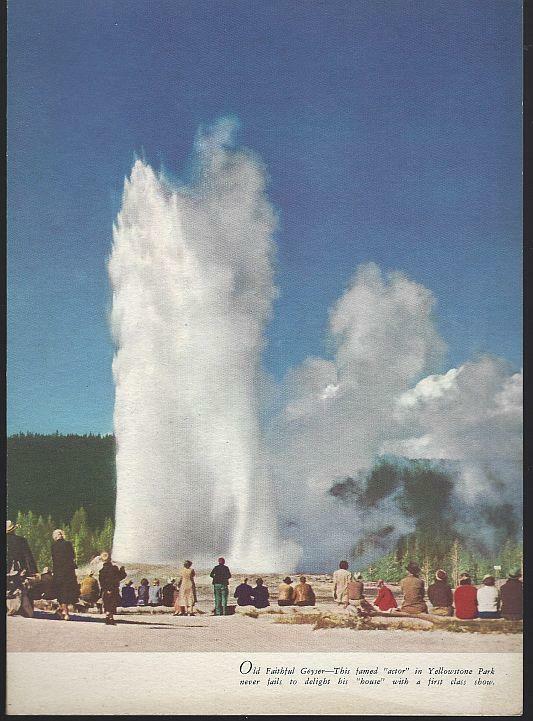 On front and back cover is Old Faithful Geyser in Yellowstone National Park. Menu is in good condition, wear at edges. 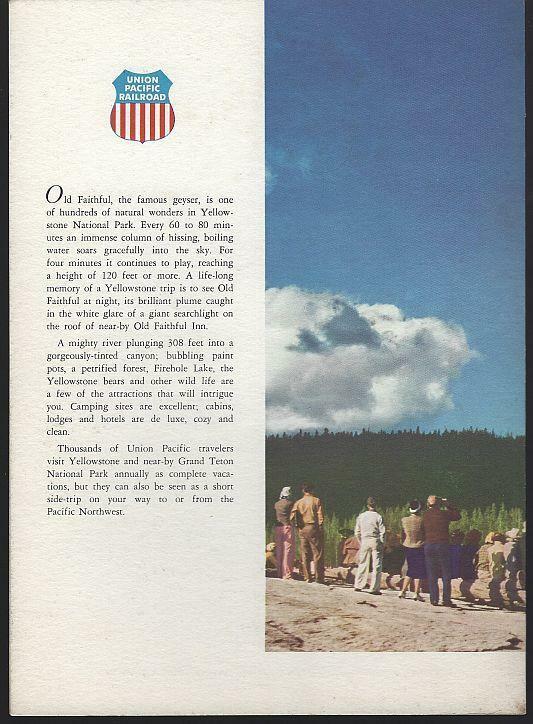 Items Similar To "Union Pacific Luncheon Menu, July 6, 1958 with Old Faithful Geys..."